ATR will setup and cofigure automated backups, to your specifications, to your local backup drive or an online service. Please note that online services may charge additional costs based on your data needs. 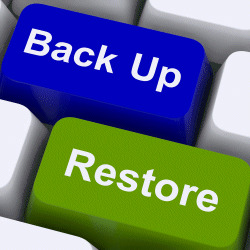 We will review and discuss your backup needs, provide you with options and then setup and configure the backups. Once purchased, ATR will contact you within 2 business days to setup the appointment(s).